Arabian Gulf Oil Company organized Waha Oil Company annual meeting, held om Saturday, 29th of December,2018. 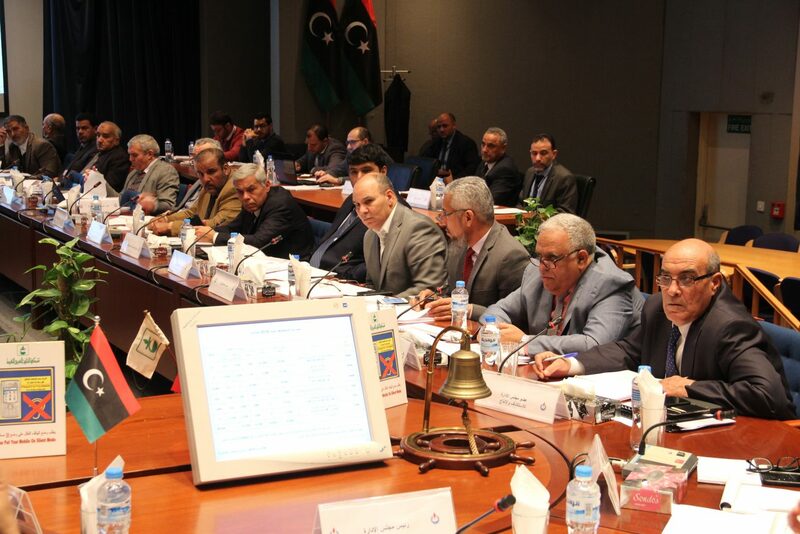 The meeting was chaired by Mr. Mustafa Sua Allah chairman of the NOC and participated by Mr. Ahmed A. Ammar, Chairman of Management Committee of Waha Oil Company and by Mr. Ahmed AlMejbery, Member of Waha MC, by Messers Members of the ONC Board of Directors as well as by General Managers and Department Managers of the Company and Head of the consulting committee, Head of the tenders committee, Head of the owners committee and the Chairman and Members of NOC control committee. 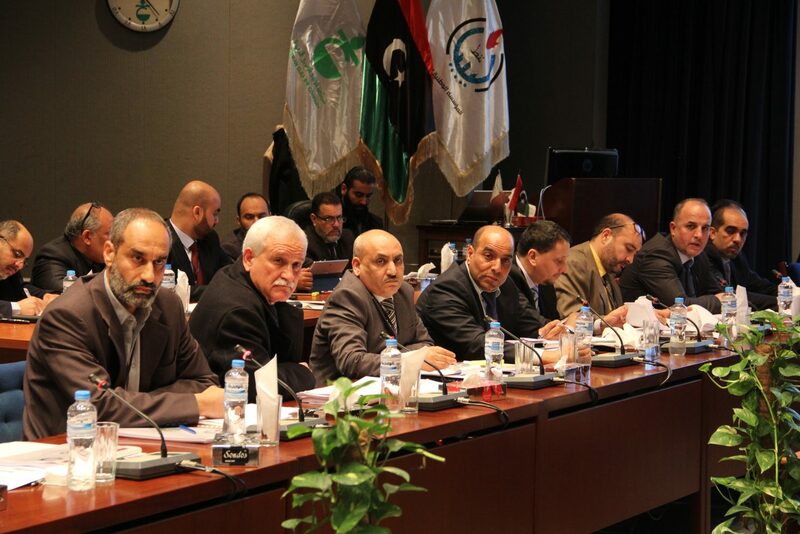 The Chairman of NOC opened the meeting by a welcoming speech in which he welcomed the attendees and thanked the management of the company and its staff for their immense efforts exerted and led to the requalification of the oil fields and the terminal and to the restoration of production in a short period. Then, Mr. Ahmed A. Ammar, Chairman of MC took the floor and expressed his gratitude to Arabian Gulf Oil Company for hosting the meeting and praised the role of NOC in supporting Waha Oil Company particularly in passing this difficult situation. He expressed his thanks , gratitude all the company employees for the dedication, determination and sacrifice which they gave towards uplifting the company. Following that, the company gave a slide show supported by figures, statistics and data revealing the activities of the company in 2018 and ways of spending approved budgets as well as plans programs of the company in 2019. Then, extensive discussion took place related to what had been shown in which the Chairman and members of MC and Departments Managers in the company responded to questions related to items that were shown. 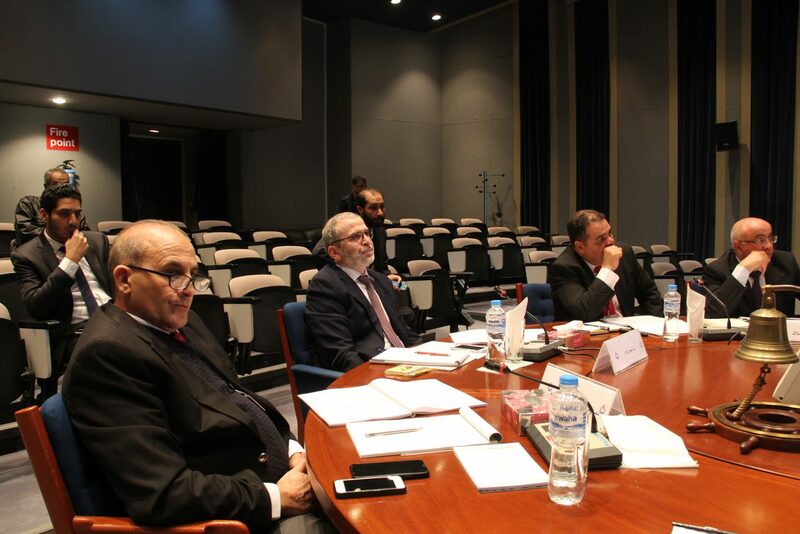 The Chairman and Members of NOC Board of Directors praised the company efforts and determination in increasing production rates and precise data they presented in the show. At the end of the meeting Mr. Mustafa Suna Allah gave a concluding speech in which he expressed his thanks and gratitude to all the Company employees and for the efforts the made to maintain the oil fields and the terminal as well as other company sites that suffered huge damages and for their ability to increase production rates of the company and to the MC which led this difficult stage which the company passed with professionality and for guiding the expenses. He added that Waha Company has the capability and the national human resources that can increase production rates through developing very important development projects such north Jalo project which will add 100 thousand barrels daily to the company production as well as the 2nd stage of AlFaregh field which will supply Assarir electricity power station with gas quantities, which will contribute in supporting the country electricity power in the country and save the money paid for the fuel that the station is currently using. 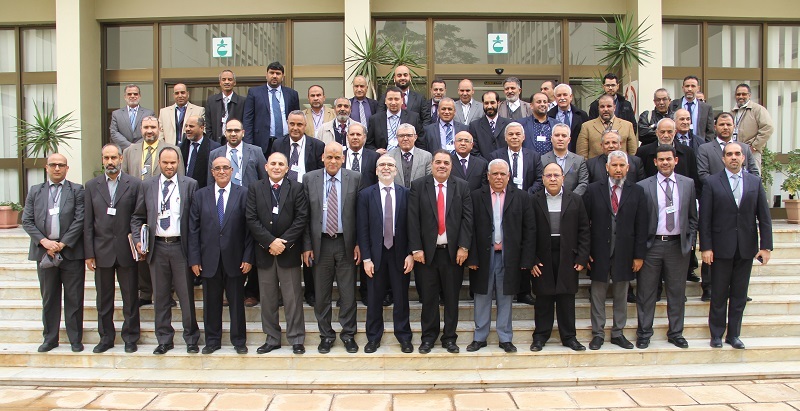 Mr. Suna Allah praised the company efforts for new graduates through lying down training programs for them, relying on the company self-resources, in the fields of planning and exploration. He added that other company in oil sector should take what Waha is doing in this respect as an example to follow in this significant and vital domain.